GET THE COMPLETE TICKET EXPERIENCE. Browse our selection of exclusive pre, post, and in-event extras to help you have the BEST experience possible! 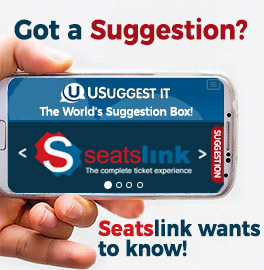 Seatslink offers tickets to events world-wide and access to a variety of event-related activities throughout the New York and New Jersey area. Use our website or contact us for help in building out your perfect event experience.